We are currently seeking speakers for our monthly meetings. Do you have an interesting and engaging topic that you would like to share with our members? We are currently seeking companies for NTEPS Network meeting sponsorship. Our monthly meetings are held on the 3rd Friday of each month. Join our mailing list to receive updates from our team about monthly meetings. Welcome to the new website for North Texas Exploration and Production Safety Network (NTEPS)! We hope you will join us at our next meeting. Meetings are held on the third Friday of each month from 9 AM to 11 AM. Meetings are held at the UTA Division for Enterprise Development Center, 140 West Mitchell Street, Arlington, TX 76010, Room: E200 F/G. Guest Speaker 1: Shannon Mitchum with Mitchum Consulting will be presenting "Active Shooter"
Guest Speaker 2: J.P. Walsh, Compliance Assistance Specialist, OSHA Update. In recognition of Safe and Sound Week, Labor Rights Week, Workers’ Memorial Day, and OSHA’s National Stand-Down to Prevent Falls in Construction, The University of Texas at Arlington OSHA Education Center is offering a series of free short courses throughout the Region. Registration opens at 8:00 AM seven (7) days prior to each class and is on a first-come, first-serve basis. Classes fill up quickly. Online registration is the easiest and fastest way to reserve your seat. 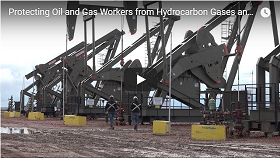 An H2S monitor is likely not enough...Multi-gas monitors can protect workers from unseen workplace hazards, such as toxic, flammable, and oxygen deficient atmospheres. By alarming in the presence of harmful atmospheres, a properly calibrated multi-gas monitor can alert the worker to unsafe conditions. Produced fluids, such as crude oil, flowback water, and produced water are brought to the surface, along with hydrocarbon vapors and gases during production operations. Vehicles and motorized equipment present an ignition hazard if located too close to the wellbore or other potential flammable vapor sources (e.g., flowback tanks, frac tanks, production tanks). 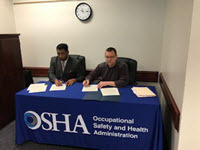 The OSHA Fort Worth Area Office will be hosting an event at the UT Arlington - Division for Enterprise Development Center. The event will consist of a training session and discussion on the MUTCD, applicable OSHA regulations, and road construction safety in General. If you missed the January 18th meeting, there's great news...NTEPS and the Fort Worth OSHA area office have formed an Alliance to provide NTEPS members and others with information, guidance, and access to training resources that will help them protect the health and safety of workers, particularly by reducing and preventing exposure to Oil and Gas Exploration and Production hazards and addressing Oil production and distribution safety and health issues, and understand the rights of workers and the responsibilities of employers under the Occupational Safety and Health Act (OSH Act). Last year, Safe + Sound Week was a success by all measures. 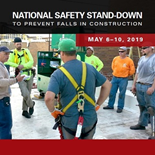 Hundreds of businesses across the country participated to showcase elements of their safety and health programs during the week, or took a step in the right direction by starting to build their safety and health program. 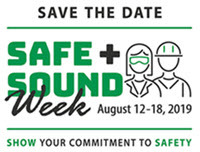 We are pleased to announce that this year Safe + Sound Week will take place August 12-18. Leading up to Safe + Sound Week, there will be opportunities to learn more about safety and health programs and get exclusive content from Safe + Sound Organizers. As part of our effort to keep you informed of new OSHA resources, we wanted to let you know about the release of the OSHA-NIOSH Heat Safety Tool. The new app, available for both Android and iPhone, is a collaborative effort between OSHA and NIOSH to update the OSHA Heat Safety Tool. Since its launch in 2011, more than 450,000 users have downloaded the OSHA Heat Safety Tool. This report describes fatal incidents identified by the NIOSH Fatalities in Oil and Gas Extraction (FOG) database that occurred in 2014. 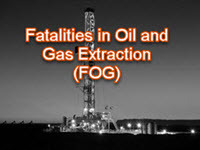 The purpose of FOG is to collect detailed information about worker fatalities related to U.S. oil and gas extraction. 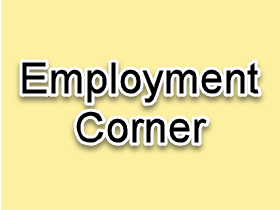 This report provides updates to fatalities published in the Oil and Gas Extraction Worker Fatalities, 2014 Mid-year Report: January 1, 2014–June 30, 2014, and also includes fatalities from the second half of the year. This 13-minute video was developed in partnership with the California Department of Public Health-Occupational Health Branch (CDPH-OHB); special thanks goes to Bob Harrison and Laura Styles for their vital contributions. 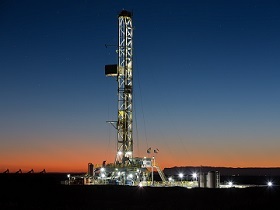 The NTEPS website is here to support the North Texas Oil and Gas Industry and one way of doing so is by showing everyone some awesome photos of industry. 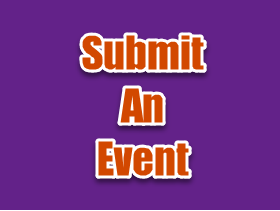 If you have a photo or photos, feel free to submit them! Networking is one of the best ways to help each other out, especially when you're looking to make a career move or on the search for employment.